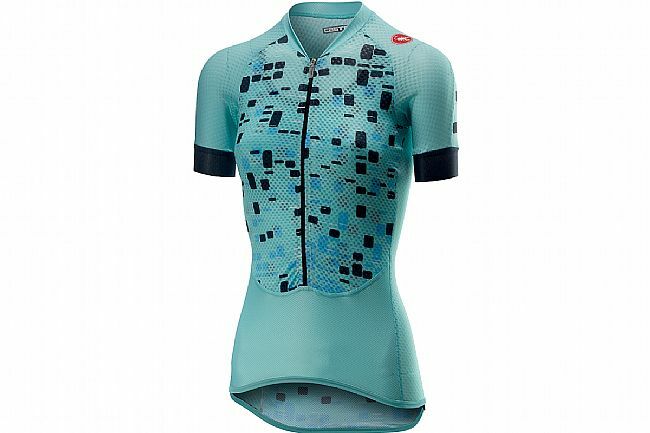 Castelli's Women's Climber's Jersey 2019 ideal for climbing, riding in hot weather, and, surprisingly, very good in cool weather or even rain under a vest or jacket thanks to its hydrophobic properties. 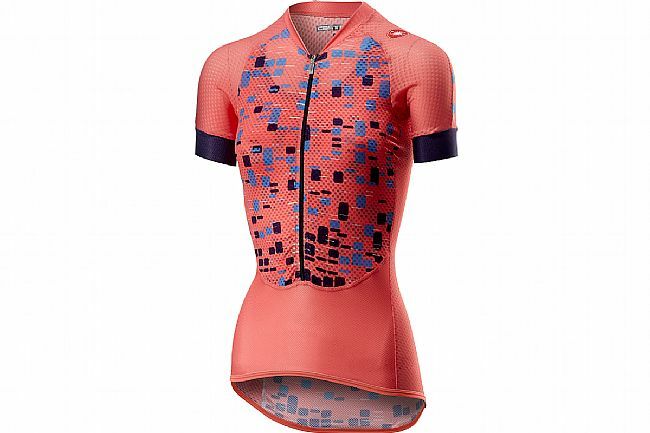 Flusso 3D fabric on front and shoulders keeps the jersey light and dry while the internal bustier eliminates transparency. Flusso 3D fabric on front and shoulders.